I love the combo of pecans and pork! 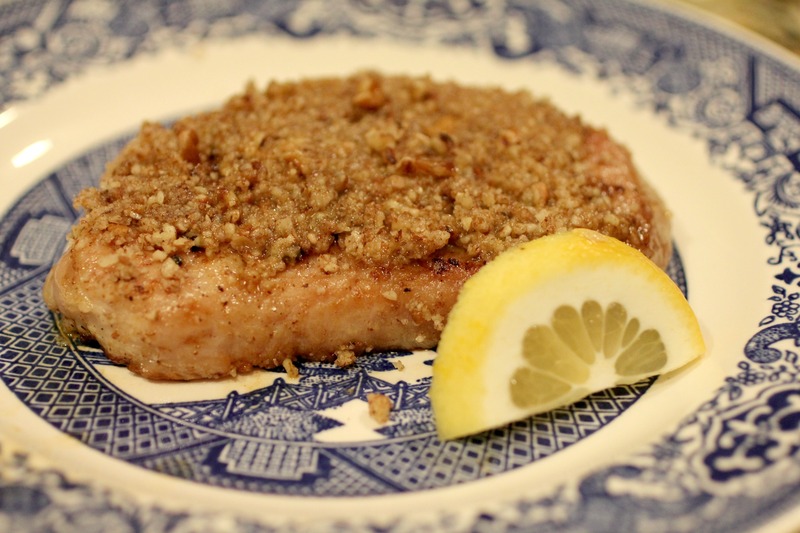 This recipe is no exception, and it’s made even better with a yummy lemon butter sauce. This dish was REALLY delicious, and it’s a great weeknight meal. I think overall it only took me about 30 minutes, and it was pretty easy too! One thing I do want to mention: the recipe calls for finely chopped pecans. Really, the finer they are, the better. What I did was I put my coarsely chopped pecans into a blender and ground them up. You can see in the picture what kind of size/texture this gives the pecan coating. If you don’t have a blender or a food processor, regular chopped pecans will do fine, but they might not stick on the meat as well. 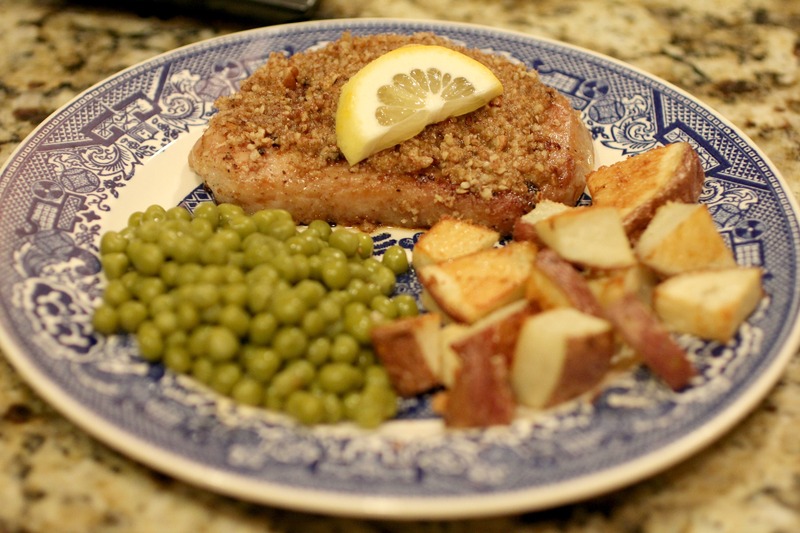 We really loved this meal, and I also enjoyed how the lemons make my kitchen smell so fresh! Hope you enjoy it too! Rub chops with garlic, salt, pepper, & zest. Melt butter in skillet on medium heat. Brown chops, 5 to 7 minutes on each side. Spread nuts on plate. Remove chops 1 at a time and press 1 side into nuts. Sprinkle any remaining nuts over chops. Stir lemon juice into pan drippings, scraping up any stuck-on pieces, heat for 1 minute and spoon over chops. Serve with lemon wedges.